This weekend, William Fox described artists as having an arc of inquiry that is equal and parallel to scientists. 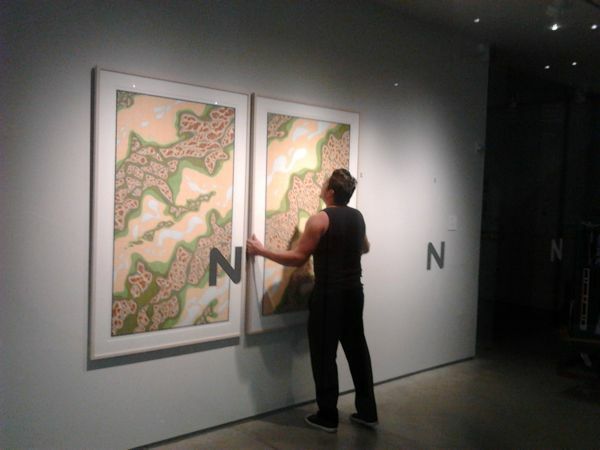 He did this at the A + E Conference at the Nevada Museum of Art. I know because I was there. The Center for the Art and Environment has been building steadily since its initial conference in 2008. I wanted to go so badly back then: couldn’t make it happen. Now spent the weekend standing in the same room as eco-art behemoths. The concept of an institution for art and environment is incredibly unique. Partly because eco-art by its very nature is difficult to archive and exhibit. Partly because there’s no precedent. And partly because, well, most of the eco-art dialogue in recent years has been happening on blogs and websites, nimbler programs with little or no funding-slash-facilities. So it’s both weird and wonderful to encounter 3 floors of a building exclusively designed for eco-art. It’s dizzying to realize that while I’m very familiar with the work of Fritz Haeg, The Harrisons and Chris Jordan, before this weekend I’d never actually seen them in person. It’s especially weird to do all this in Reno, with the lights and the gambling and whatnot. Back to Chicago tomorrow. Everything is old and new at once.